Wooden windows are mostly chosen by people that value naturalness and and aesthetics. Wood is a precious material that has been used for ages due to its unique elasticity and easy of processing. Modern wooden windows ensure functionality and elegant looks. Wood is a raw material that is completely safe for the environment. 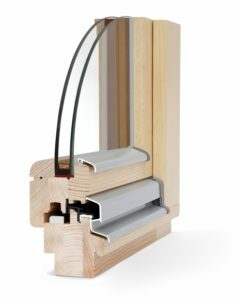 We gladly offer you wooden windows that guarantee the highest quality on the market as for their production only prime grade wood is used that comes without blue stains or grown-in knots. We offer our clients windows of varying dimensions and shapes, made of three species of wood: pine, meranti and oak in a wide range of colours.